Muy tranquilo, siempre dispuestos a ayudar y aconsejar. Repetiría seguro. 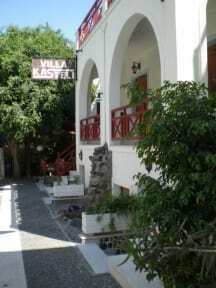 Villa Kasteli has been by far the most welcoming hostel I have ever stayed in. Zoi and Vicky made Santorini an amazing experience! They, along with their 'guard dogs' made me feel safe and at home! The breakfast was delicious! They even gave me a water bottle! They changed the sheets each day and the room was very clean! My only regret is that I didn't stay longer! Love love love this hostel! I loved how it was a place for all ages! It's a little bit hidden but if you ask people in the street you can easily get there. The owner was super nice and kind, she helped us a lot and I really felt home there. 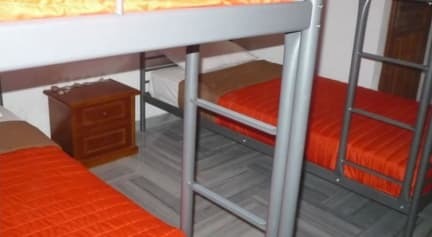 Shared room was ok and it was clean Beach is pretty near to hostel, you can get there like in 5min Price quality is good!! It's a very pleasant hostel, very familiar. Vicky and family are always available if you need something. The services are very good and clean and the location is just a few steps from the beach. There is a nice atmosphere and space for socializing. Highly recomended! El hostel está bien. Está en Perissa, a 40 minutos de Fira que es la capital de Santorini. Está cerca de la playa y de la estación de bus para ir a Fira. Los buses para ir a Fira no son puntuales por lo que sí vas por pocos días es recomendable parar en Fira que es donde está la estación central de buses. Y de ahí moverte para los lugares que quieras. El wifi en las habitaciones no andaba bien, había que ir a la zona común.